Subscribe to Ka Wai Ola Sign up for free! OHA is focused on strategic priorities for improving the conditions of Native Hawaiians in the areas of ‘āina, culture, economic self sufficiency, education, governance, and health. OHA’s advocacy involves conducting research whose findings are used to guide decisions and empower communities to inspire positive results in these areas. OHA’s advocacy also calls for developing and shaping public policies that have broad implications for the Hawaiian community. OHA’s advocacy is reflected in its efforts to help ensure that laws are complied with at the local, state and federal levels. In addition, OHA’s advocacy requires working with communities to share information and build public support for Hawaiian issues. Among the key ways OHA fulfills its purpose is by providing resources towards improving conditions for Native Hawaiians. For example, each year OHA awards $500,000 in scholarship money. Similarly, nearly 2,000 Native Hawaiians have borrowed more than $34 million from OHA within the past decade to start businesses, improve homes, consolidate debts and continue their education. In addition, OHA awards more than $9 million in grants annually to community-based organizations that support the focus of the strategic plan. And as the state’s 13th largest landowner, OHA manages more than 27,000 acres of lands set aside largely for cultural and agricultural endeavors. At OHA, facilitating collaboration is among its core values. This is critical to the organization’s ability to energize relationships and earn the trust of important community partners. As a result, OHA has built formal relationships with various organizations to help achieve broad, lasting change in the Hawaiian community. Among them was the Native Hawaiian Justice Task Force, which was created by the Hawai‘i Legislature to support comprehensive solutions to concerns about the disproportionate number of Native Hawaiians who are in prison in Hawai‘i and the U.S. At the same time, OHA is working closely with the Nā Limahana o Lonopūhā Native Hawaiian Health Consortium to improve health. Our focus on pae ‘āina sustainability aims to honor the past while preparing for the future. We advocate for policies and practices that enable sustainable economic activities that preserve cultural and natural resources. As the state’s 13th largest landowner, we apply these standards to steward more than 27,000 acres for cultural and agricultural endeavors. Our focus on cultural vibrancy applies Hawaiian perspectives and approaches to all of our advocacy and initiatives. We strive to enhance the public’s appreciation of Hawaiian history and culture. We also aim to increase Native Hawaiian participation in cultural activities—encouraging ʻohana and communities to perpetuate, transmit, and generate knowledge and practices rooted in our cultural foundation. Our focus on improving Native-Hawaiian economic self-sufficiency centers on increasing family income, homeownership, and housing stability for renters. These efforts help ‘ohana become more financially viable, which supports improved health, educational outcomes, and the overall well-being of those in the ‘ohana. Our focus on improving education in the Hawaiian community takes aim at two primary goals: increasing the number of Native Hawaiian students who meet or exceed reading and math standards in middle school and high school, and boosting post-secondary graduation rates. Such educational achievement enables later success in the workplace and raises the overall capacity of Hawaiian communities. Our focus on governance involves facilitating a process for Native Hawaiians to form a governing entity. A recognized governing entity would solidify Native Hawaiians as a political rather than racial group, safeguarding trusts, programs, and funding sources serving Native Hawaiians. A governing entity could advocate and negotiate greater self-sufficiency and autonomy for Native Hawaiians. Our focus on Native Hawaiian health aims at reducing obesity. Lowering obesity curbs conditions such as diabetes and heart disease that are prevalent among Hawaiians, which decrease life expectancy and quality of life. 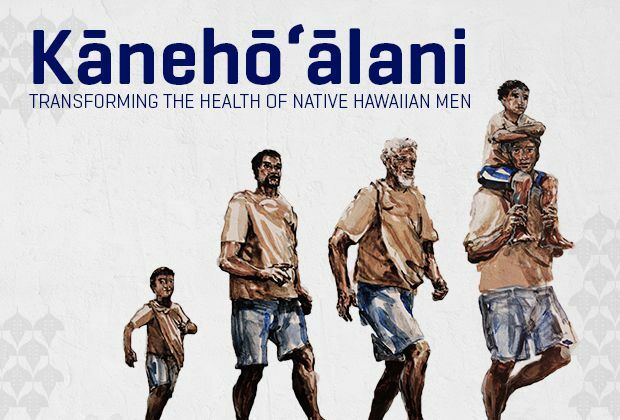 Approaches taken to combat obesity and boost overall well-being among Native Hawaiians include encouraging healthy eating, regular physical activity, and engagement in cultural activities.